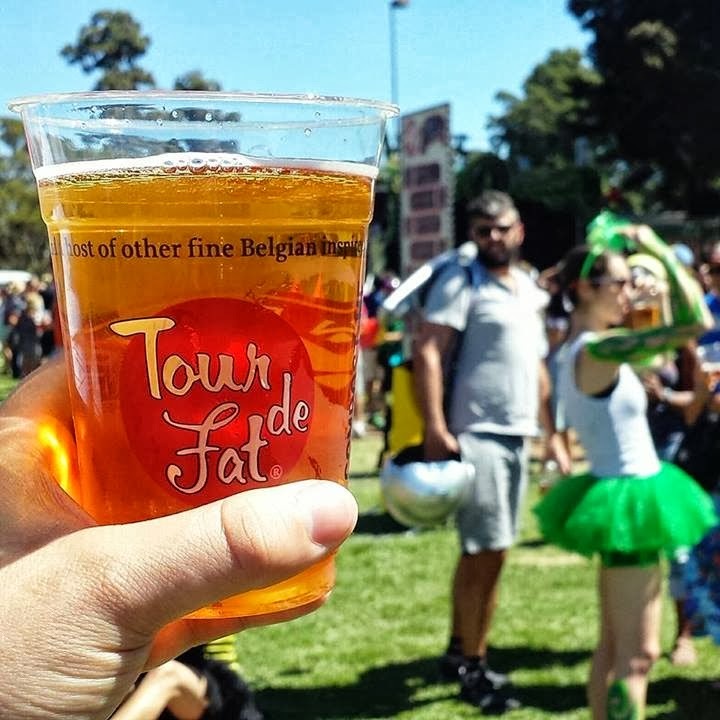 Tour de Fat, New Belgium Brewing’s traveling festival of bikes, beer and bemusement, raised more than $40,000 for San Diego nonprofits last Saturday, September 28. 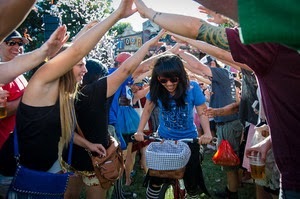 About 6,000 bicycle and beer enthusiasts came to Balboa Park for the event and 2,000 people participated in the bike parade. Although it was free to attend Tour de Fat, proceeds from beer and merchandise sales and donations from parade participants go to local nonprofits focused on bicycle advocacy. The local beneficiaries are the San Diego County Bicycle Coalition (SDCBC) and San Diego Mountain Biking Association (SDMBA). “At the event, Interim Mayor Todd Gloria announced that over a quarter of a billion dollars is earmarked for such improvements and we give thanks to events such as Tour de Fat and to SDCBC/SDMBA for increasing awareness of bicycling and the heightened advocacy efforts of our citizens,” added Jason Liebrecht, also with SDMBA. A highlight of every Tour de Fat stop is the car-for-bike swap where one person commits to commute by bike for the next year. Rhey Lee is this year’s swapper from San Diego. Attendance at this year's Tour de Fat was up 71% from last year, and the 2,000 participants in the bike parade is an 82% increase from 2012. Money raised was up 32% from last year. 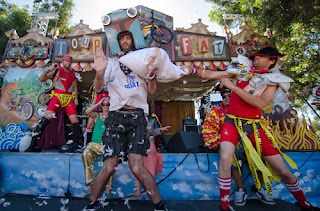 Sustainable Support for Tour de Fat was sponsored by Zero Waste San Diego whose efforts lead to an 87% waste diversaion. See facebook.com/TourDeFat to follow the 12-city adventure, read the Tour de Fat credo, access schedules, watch videos and submit an entry to swap your gas-guzzler for a fancy new bicycle. Learn more about New Belgium Brewing at www.newbelgium.com.